Home > ECAWAR, Political Action	> Latest Update: ECAWAR Info Picket – Refugees Welcome! Stop the Bombing! 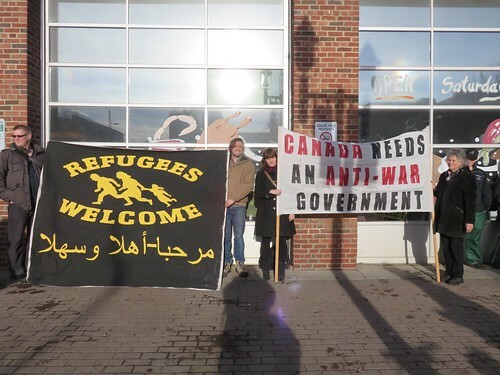 Latest Update: ECAWAR Info Picket – Refugees Welcome! Stop the Bombing!